A check engine light, or dashboard light, is something some people try to ignore. No one wants to hear bad new. Yet a check engine light repair may be something as minor as a faulty sensor. Many times it has to do with the vehicle’s emissions. Whatever the cause, a minor problem can quickly become a large, costly one if it is not addressed right away. Federal Way Automotive & Radiator expertly handles check engine light repair near Edgewood, so you can stop worrying. Most cars have a variety of dashboard lights, each indicating a specific system is having a problem. Older vehicles may only have one check engine light that comes on for nearly any type of problem the vehicle encounters. Some are very sensitive and will come on when something is just beginning to be off. Others won’t indicate a problem until the issue is fairly advanced. Anyway around it, waiting will likely advance the problem further. Don’t wait until the issue becomes a dangerous breakdown. Getting the vehicle in for a check engine light diagnostics will save you money and hassle down the road. Our technicians work with the most up-to-date diagnostic tools to read your check engine light codes. With well over 30 years of experience under our belts, we understand what these codes mean and what type of auto repairs will remedy the issue. When the problem is corrected, the check engine light will go off on its own. 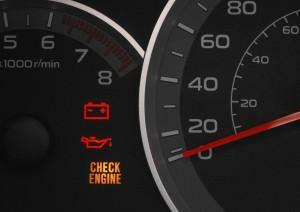 If you have had your vehicle in for a check engine light repair and the light has not gone off, bring it to us. We will get it fixed correctly and running safely. When you bring your car to our technicians we run the diagnostics and do a thorough inspection. We offer you a written report of our findings as well as an estimate on the check engine light repair costs. We take as much time as you need, explaining the problem and the necessary repairs. We don’t do any work until you feel comfortable with it and give us the green light to go ahead. deserve. If your check engine light has come on, don’t delay. Bring it into us before the problem has time to get worse. Contact us right away for your check engine repair near Edgewood. Our technicians enjoy living near the Edgewood, Washington area. It has much to offer; with its fun family events and unique Town Center there is always something going on in Edgewood. If you haven’t come by lately, make time for a visit!